A frequency converter, also known as a frequency changer, is a device that takes incoming power, normally 50 or 60 Hz and converts it to 400 Hz output power. Different types of power frequency converters exist, specifically, there are both rotary frequency converters and solid state frequency converters. Rotary frequency converters use electrical energy to drive a motor. Solid state frequency converters take incoming alternating current (AC) and converts it to direct current (DC). What is the purpose of a power frequency converter for commercial utility? Standard commercial utility power is alternating current (AC) power. AC refers to the number of cycles per second (‘hertz” or Hz) that the power fluctuates, positive and negative, around a neutral datum. Two standards exist in the world, 50 hertz and 60 hertz. 50 Hz is prevalent in Europe, Asia and Africa, while 60 Hz is the standard in most of North America and some random countries (Brazil, Saudi Arabia, South Korea) around the world. There is no inherent advantage to one frequency over another frequency. But there can be significant disadvantages. Problems occur when the load being powered is sensitive to the input power frequency. For example, motors spin at a multiple of the power frequency. Thus, a 60 Hz motor will spin at 1800 or 3600 RPM. However, when 50 Hz power is applied, the RPM is 1500 or 3000 RPM. Machines tend to be speed sensitive, so the power to run them must correspond to the design RPM intended. Thus, a typical piece of European machinery needs 50 Hz input, and if it runs in the United States, a 60-to-50 Hz converter is required to convert the available 60 Hz power to 50 Hz. The same applies vice versa to convert 50 Hz power to 60 Hz. While standard power ratings and capacities exist for frequency converters, our converters operate over a range of voltages from 100V to 600V. The most commonly specified voltages are 110V, 120V, 200V, 220V, 230V, 240V, 380V, 400V, and 480V. Because our standard and custom design capabilities can meet a range of power system needs, Georator is your supplier for frequency to voltage converters. WHY DOES A FREQUENCY CONVERTER COST SO MUCH? A lot of clients suffer “sticker shock” when looking to by a frequency converter. It makes little difference if the power frequency converter is a rotary unit (motor-generator set) or a solid state (electronic) unit. And, in fact, the cost spread among vendors is surprisingly small. So what makes frequency converters so expensive? Well, it’s a law. Specifically, the laws of physics. Unlike voltage conversion, which only requires a rather passive transformer, a frequency converter must completely remake the power in order to change the frequency. In a rotary converter, incoming electrical energy is converted to mechanical power in the drive motor. That rotational power then feeds a generator, where the rotational energy is reconverted to electrical output. Lots of moving parts, lots of hardware, lots of cost. In a similar manner, a solid state frequency converter converts incoming AC power into DC, by use of a rectifier. The DC energy is then reconverted into AC power by use of an inverter section. Again, lots of parts, lots of cost. One positive side benefit of either type of frequency converter is that any desired voltage conversion occurs “for free” as part of the frequency conversion process. Unfortunately, this is often little consolation to our clients. Sorry, it’s just the law. DO I REALLY NEED A FREQUENCY CONVERTER? When potential clients are faced with buying a frequency converter, ours or those of our competitors, they often find the cost to be a major impediment. Do they really need the frequency converter? Well, the answer lies in what type of load is being served. 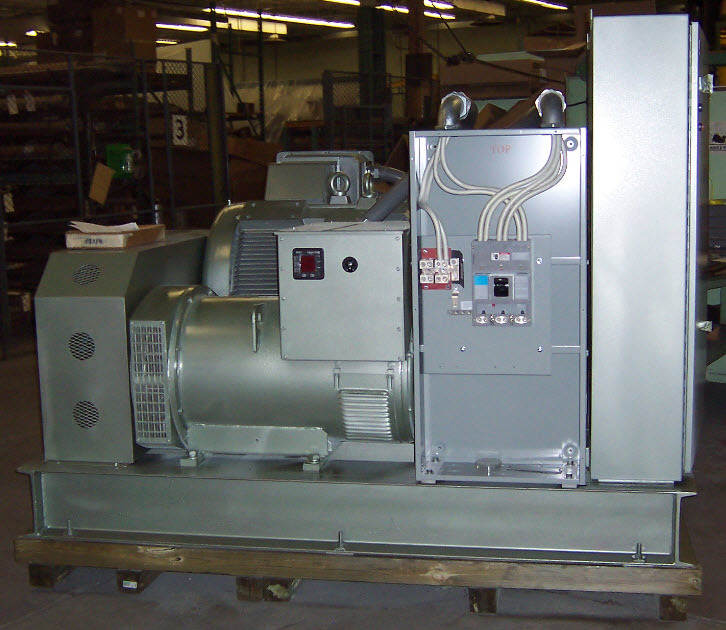 Applications involving motor loads often need a power frequency converter because the rotational characteristics, specifically revolutions per minute (RPM), are a direct function of the input frequency of the electricity. A 60 Hz motor will spin at some multiple of 60, e.g., 1800 RPM. Concurrently, a 50 Hz motor will spin at a multiple of 50, e.g. 1500 RPM. 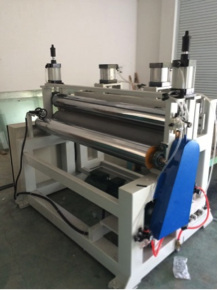 Thus, when dealing with a motor load, especially in a multi-motor machine, it may be quite necessary to use a frequency converter to ensure that the motors spin in accordance to the original rotational design. However, resistive loads, such a resistance heaters and some lights, don’t care what the frequency of the incoming power is. So if the load is restive, no frequency conversion may be necessary. The only caveat is that the voltage must be in the right range. Even if only a major portion of the load is resistive, it may be more economical to split the load into parts, and only feed the frequency-dependent component with a converter. It’s also wise to consider replacing motor(s) in the load to the proper frequency, as this may yield a less costly solution than using a frequency converter. Georator application engineers are available to discuss these issues with you; contact our team for assistance. While we value your business, we don’t want to sell you something you don’t need.